1/4" Plastic Sleeve, 10 ea. 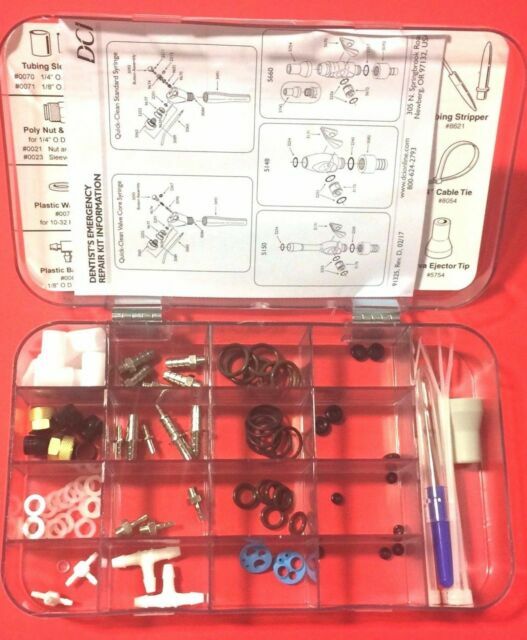 1/8" Plastic Sleeve, 10 ea. 11/4" Poly Sleeve, 5 ea. 1/4" Poly Nut & Sleeve, 2 ea. 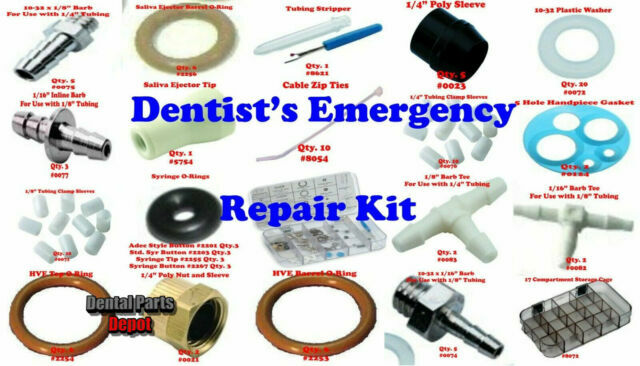 Use for repair of minor problems occurring most frequently in dental units. 0-Ring, Syringe Tip, 3 ea.